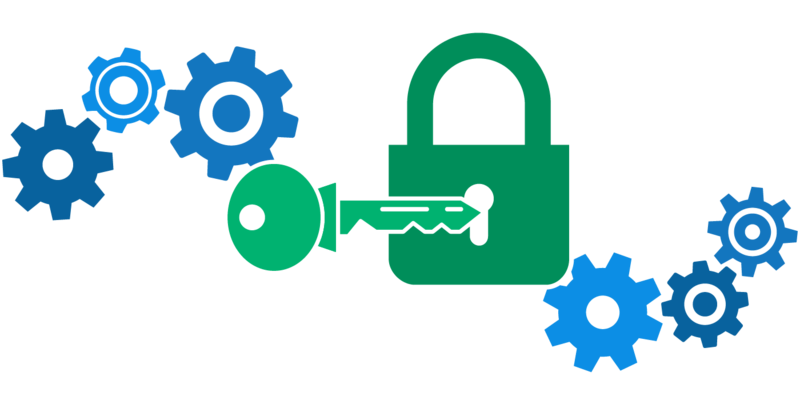 Advanced Encryption Standard (AES) is one of the most frequently used and most secure encryption algorithms available today. It is publicly accessible, and it is the cipher which the NSA uses for securing documents with the classification "top secret". Its story of success started in 1997, when NIST (National Institute of Standards and Technology) started officially looking for a successor to the aging encryption standard DES. An algorithm named "Rijndael", developed by the Belgian cryptographists Daemen and Rijmen, excelled in security as well as in performance and flexibility. It came out on top of several competitors and was officially announced the new encryption standard AES in 2001. The algorithm is based on several substitutions, permutations and linear transformations, each executed on data blocks of 16 byte – therefore the term blockcipher. Those operations are repeated several times, called “rounds”. During each round, a unique roundkey is calculated out of the encryption key, and incorporated in the calculations. Based on the block structure of AES, the change of a single bit, either in the key, or in the plaintext block, results in a completely different ciphertext block – a clear advantage over traditional stream ciphers. The difference between AES-128, AES-192 and AES-256 finally is the length of the key: 128, 192 or 256 bit – all drastic improvements compared to the 56 bit key of DES. By way of illustration: Cracking a 128 bit AES key with a state-of-the-art supercomputer would take longer than the presumed age of the universe. And Boxcryptor even uses 256 bit keys. As of today, no practicable attack against AES exists. Therefore, AES remains the preferred encryption standard for governments, banks and high security systems around the world. RSA is one of the most successful, asymmetric encryption systems today. Originally discovered in 1973 by the British intelligence agency GCHQ, it received the classification “top secret”. We have to thank the cryptologists Rivest, Shamir and Adleman for its civil rediscovery in 1977. They stumbled across it during an attempt to solve another cryptographic problem. Try out Boxcryptor to encrypt your data in the cloud, to make sure that no one but you can access the data. The basic version for one cloud on two devices is free.